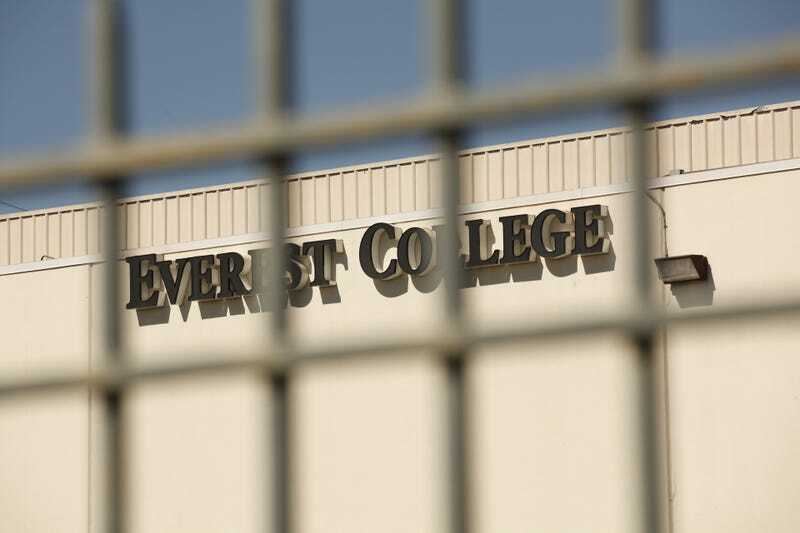 Everest College, a for-profit college owned by now-defunct Corinthian Colleges, in 2015. I didn’t come here to praise Betsy DeVos. Nearly 15,000 emails to former students and parents of students who attended college campuses overseen by now-defunct Corinthian Colleges and other for-profit institutions like ITT Tech were sent. Thanks to an Obama-era provision called the Automatic Closed School Discharge, everyone who received one has some money coming their way. The crackdown on for-profit colleges during the previous administration was strengthened by the borrower defense rule, which enables the Education Department to return monies paid to borrowers who had been defrauded. The rule also stipulated that loans would be automatically discharged in the event of a school shutdown. While relief is undoubtedly sweet for the thousands of students and families, their relief should have come more than a year ago. DeVos, calling the borrower defense “a muddled process that’s unfair to students and schools, and puts taxpayers on the hook for significant costs,” fought to delay its inaction, losing repeatedly in court and missing the deadline to replace the rule. A federal judge ordered the department to begin repayment in October. With more than 3,000 schools closed since 2013, including last week’s closure of Education Corporation of America, which boasted 20,000 students, DeVos could see her department restore the lost earnings of thousands upon thousands of Americans in the coming months and years. She’ll just have to deal.